Watterson, Bill. The Days Are Just Packed. Kansas City, Andres and McMeel, 1993. Pg. 74. 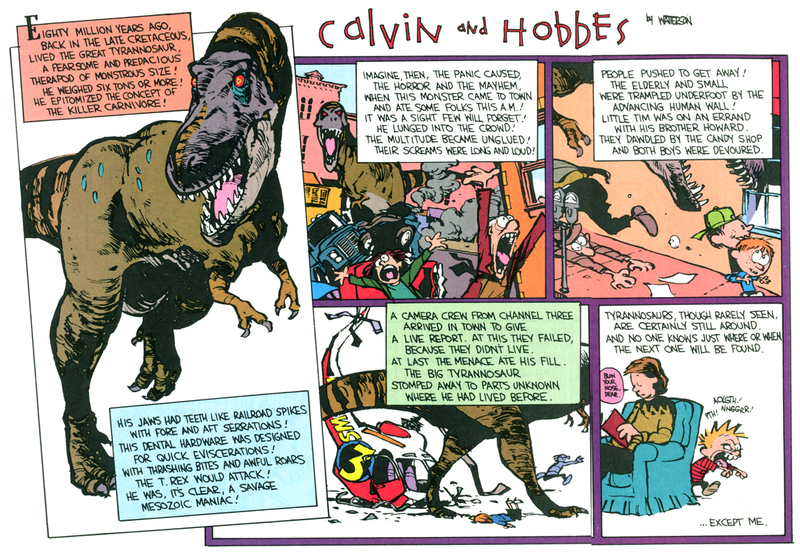 This entry was posted in The Conglomerate and tagged calvin hobbes, comic, dinosaur, humor on February 16, 2016 by NDrockclub. Watterson, Bill. The Days Are Just Packed. Kansas City, Andres and McMeel, 1993. Pg. 24. 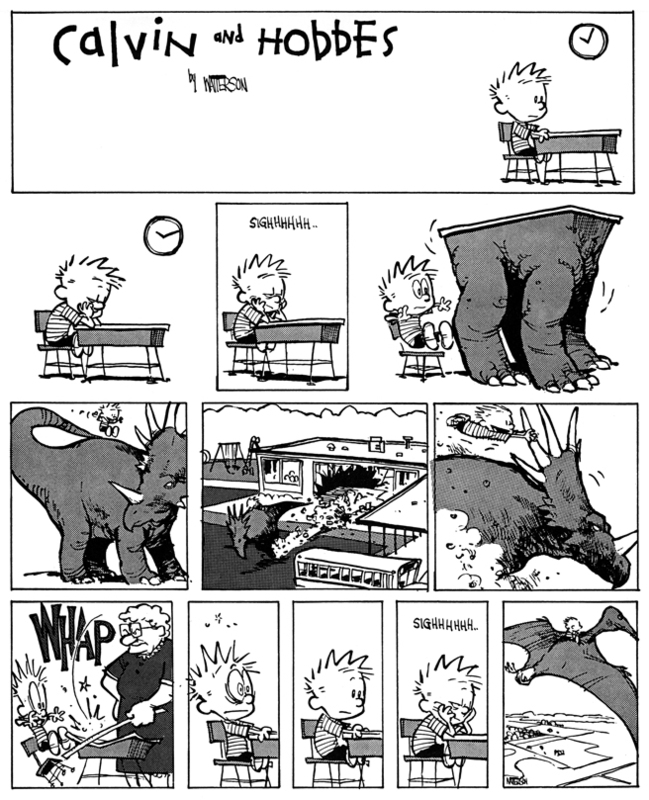 This entry was posted in The Conglomerate and tagged calvin hobbes, comic, dinosaur on March 27, 2015 by NDrockclub. 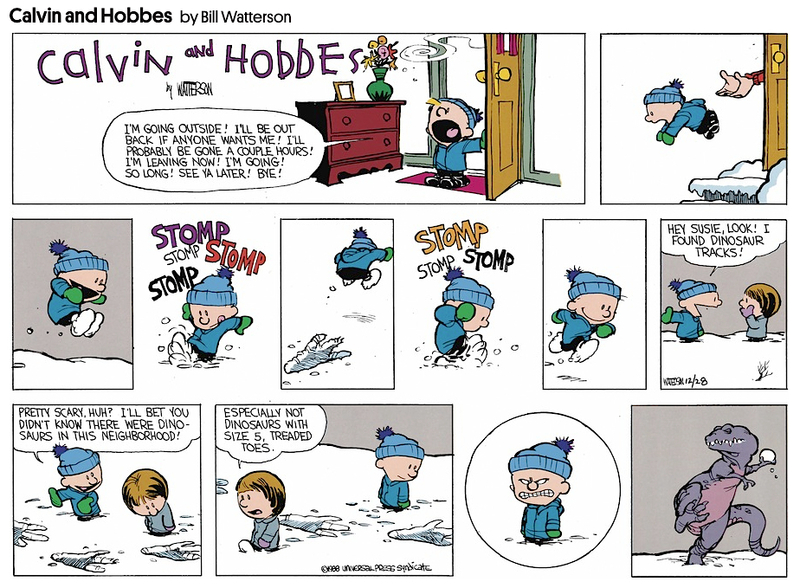 This entry was posted in The Conglomerate and tagged calvin hobbes, comic, evolution, humor on February 9, 2015 by NDrockclub. Watterson, Bill. The Revenge Of The Baby-Sat. Kansas City, Andrews and McMeel, 1991. Pg. 57. This entry was posted in The Conglomerate and tagged calvin hobbes, comic, dinosaur, humor on December 30, 2014 by NDrockclub. This entry was posted in The Conglomerate and tagged calvin hobbes, comic, dinosaur, humor on December 15, 2014 by NDrockclub.